Considering getting a Cavalier King Charles Spaniel? The Cavalier King Charles Spaniel is under the Toy dog breed group. It was originally bred for companionship. Its intelligence, affectionate and loyal nature make it a perfect company for new pet owners or the elderly. It is of small size and suitable to dwell in small apartments in the city. It is often placed in a handbag due to its almost miniature size and some even consider it as handbag accessories. Cavalier King Charles Spaniel is also easy to train and groom. Getting a Cavalier King Charles Spaniel? Here is a brief background of the tail-wagging toy dog that loves human interaction. The history of the Cavalier King Charles Spaniel is a bit complicated as breed enthusiasts have varying claims. Some say it came from the toy spaniels in Holland, Italy and France from the 16th to 18th century. Others argue that these toy spaniels have already been around as early as 13th century. One thing is for sure, though. These spaniels were a favourite of royal and noble European families. It was named after King Charles I of Britain because it was his favourite dog in the 1600s. Some say the monarch was even accompanied by his small dog when he was executed. King Charles II shared the same admiration to small spaniels. He even created a decree to allow these dogs to go inside any public building in Britain. These dogs were often included in paintings of noble men and women. The long-nosed King Charles Spaniels almost became extinct when the short-faced ones became fashionable during the reign of Queen Victoria. Some people speculate that they were crossed with the Pug to achieve their flat face and larger, prominent eyes. It was revived in 1926 through the efforts of Roswell Eldridge. The word Cavalier was added in 1928 to distinguish the long-nosed from the short-nosed King Charles Spaniels. It was only in 1945 that the Kennel Club recognised a separate breed for the Cavalier King Charles Spaniel. The Cavalier King Charles Spaniel is one of the largest toy breeds. It weighs 13 to 18 pounds and stands 30 to 33 at the withers. Its gentle and charming expression, along with its constantly wagging tails easily wins hearts. It has a slightly flat skull, well-tapered muzzle, slightly arched neck, and short-coupled body. Some people could not distinguish it from its King Charles Spaniel. While the two look similar, obvious differences are the former’s large but non-prominent eyes and longer nose. According to the Kennel Club standards, the accepted colours are black and tan, ruby, Blenheim, and a tricolour of black and white with tan markings. Other colours and combinations are considered faults. The elegant-looking Cavalier has a long, silky and straight coat with lots of feathering on the ears, chest, legs, tail and feet. Although there may be a slight wave, the coat should never be curly. It may have a long, lovely hair but is not really a fussy dog, grooming-wise. You only need to brush it 3 times a week especially if the pooch stays indoors most of the time. Bathing can be done as needed to prevent from stripping natural oils. It does not require any clipping or trimming and you should never do so if you plan to show it. For a good overall health, a dog’s grooming regimen must not only include the coat. Be sure to check for ticks or fleas, regularly trim nails, clean ears and brush the teeth. Usually, it is during grooming that early signs and symptoms of diseases are detected. The Cavalier King Charles Spaniel is an endearing, affectionate, intelligent, and loyal companion. It loves being with its family and would follow them anywhere they go. It is an indoor pooch that loves constant human interaction. It develops separation anxiety and would feel depressed when ignored or left alone. It knows how to use its charm to sway people into petting them and giving them treats. Its small size and quiet nature make it suitable for apartment living. It is such a friendly breed and it is not a good watch dog. It may bark at strangers but it easily warms up to them. It generally does really well with children and other pets. However, make sure interactions with younger kids are always supervised to avoid accidental injuries. Training a Cavalier is an easy task because it is smart and a people pleaser. It basically does whatever is commanded especially when it is accompanied by plenty of praises and food. Playing, training and being with its owners give it much joy. As a pooch with a soft personality, it is very sensitive to stern voices and actions. Rewards to good behaviour and performance should be the way to do it. 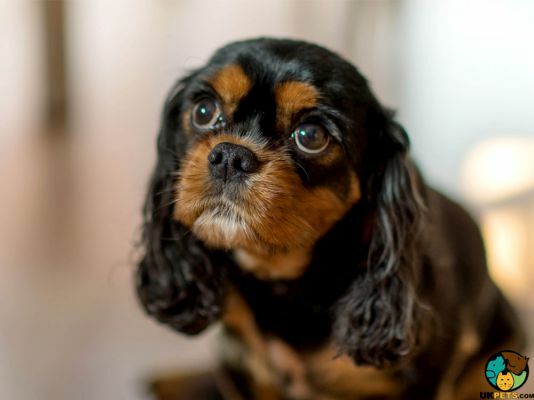 It is essential to note that despite Cavalier King Charles Spaniel’s general disposition, intelligence and temperament may likely be different from each dog breed. Its genetics, the environment it is raised and training it receives play an important role in cultivating its personality. A typical serving for an adult Cavalier King Charles Spaniel is 1/2 to 1 cup of excellent quality dry dog food per day. Cavalier puppies with smaller stomachs should only consume around 1/2 to 1 cup per day. Like in any breed, the amount of meals and snacks depend on its age, size, build, activity level and metabolism. Cavalier owners need to understand the basic nutritional needs of their dog as a breed as well as its individual characteristics. It is worth noting that this breed can easily become fat so owners should go easy on the treats. Cavaliers are also good at using its charms to ask for more food. Quality time will be a better alternative as this also makes them happy. A Cavalier’s diet should be rich in nutrients that strengthen the heart, liver, kidney and overall circulatory health. Recommended diet are real meat protein, vegetables, and a grain-free food to keep carbohydrates at a minimum. Avoid feeding Cavaliers chocolate, nutmeg, avocado, garlic, onions, dairy products and grapes. There are more in the list of food to avoid. Research and create a list, so you don’t accidentally feed Cavaliers food that is toxic and dangerous to their health. Supplements for the bone to lessen the chances of Hip Dysplasia, and for the coat to keep it shiny. Always consult your vet before buying any supplements. 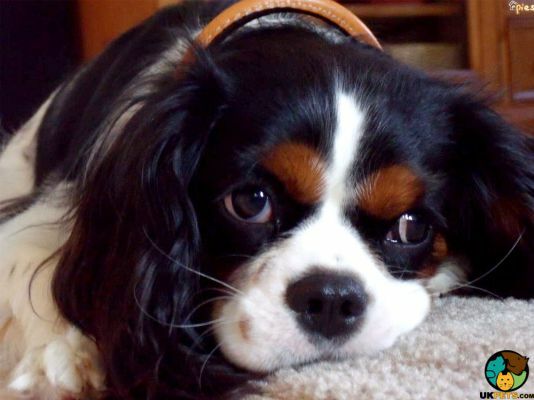 Cavalier King Charles Spaniels are generally healthy but predisposed to certain conditions. The most common to this breed is Mitral Valve Disease (MVD), which usually starts as a heart murmur. They can also develop Hip Dysplasia, Syringomyelia (SM), Episodic Falling, Patellar Luxation, and Keratoconjunctivitis Sicca or Dry Eye. Since the Cavalier is moderately active indoors, light exercise in a fenced yard is usually enough. During walks, make sure it is on a leash as it could run after small animals and get hit by a car. Like other short-nosed breeds, they easily overheat so avoid walking them during hot temperatures and ensure they always have access to drinking water. Other physical activities they would enjoy are playing fetch and doing dog sports. Consult with a Vet for Free. The Cavalier King Charles is among the most expensive dog breeds. It will cost about £1,773 to £3,100 in the first year alone. Soon costs will add up to buy pet accessories such as a collar, leash, bed, toys, treats, crate, and other things. When it comes to grooming, it is best to go to a professional groomer every 6 to 8 weeks. On average a professional groomer for a Cavalier King Charles will charge around £35 to £40 a visit – often it does not include nail trimming. Costs vary depending on the breed and other factors. On top of grooming services, regular vet consultation is also an expense. It is essential to consult the right vet for preventive care to reduce the chance of chronic illness that may require long-term veterinary costs. Routine veterinary consultation costs about £35 to £45, excluding special vet exams. 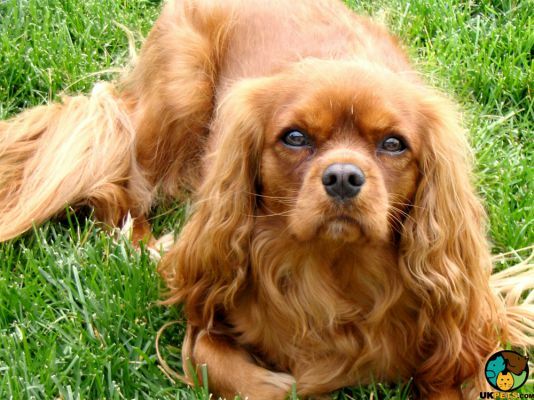 Is a Cavalier King Charles Spaniel Right for You? Cavalier King Charles requires moderate maintenance. It is moderately easy to train and likes to stay indoors. It is very attached to owners and often suffers from separation anxiety. It is moderately active, so regular exercise is a must. Its needs are not demanding, so it is suitable for new dog owners. It is good with children as a playmate and is affectionate. It belongs to the toy breed group bred for companionship – not a guard dog. Our Cavalier Wants A Friend!